At the Windows 8 BUILD conference we learned that Windows 8 will allow you to mount ISO and VHD files natively. So no longer is there a need for a 3rd party ISO file software such as MagicISO however if you have copy protected games you will still need to unlock these discs so it’s best to use something like Game Jackal which is a virtual ISO drive creator but also removes copy protection codes found on CD-ROM and DVD-ROM PC games. So is this good news or is it a feature that is 8 years past its prime? Linux has supported ISO files since 2002 or earlier. But since hard drive prices are getting less and less for more and more storage it’s probably a good time to introduce the native ISO file mounter. Personally I like that Microsoft will be including this in Windows 8. 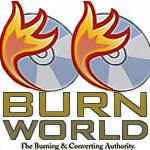 BurnWorld.com burnworld.com, ISO files, Microsoft Windows 8, VHD files, Windows 8. permalink.